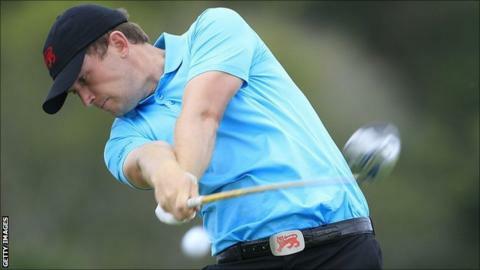 Northumberland amateur Garrick Porteous has described his forthcoming Masters bow as a "special" experience. Porteous, 24, won the 2013 Amateur Championship to qualify for three of four Majors but will move into the professional ranks after Augusta. "It's awesome, every little kid growing up playing golf wants to play at the Masters, watching on TV," Porteous told BBC Newcastle. "It's a special occasion and I have my family out here to enjoy it with me." The Bamburgh Castle player, who plays out of the Northumberland Golf Club based at Gosforth, is one of six amateur debutants at Augusta and has targeted top spot among his peers. "That's my main goal for the week but it's about me knuckling down tomorrow morning when I tee off and taking it one shot at a time," Porteous added. "I'm just looking forward to getting started, it's not often you get a chance to play in the Masters as an amateur so it's a special occasion." His final amateur appearance, having passed up the chance to compete at the US Open in June, will see him tee off in a group with Jose Maria Olazabal and Lucas Glover. "I managed to bump into Jose before I knew we were in the same group, and managed to talk with him a little bit," Porteous said. "When I was growing up I watched Jose, he was the captain of the Ryder Cup team at Medinah and I have a lot of respect for him. "It's going to be awesome to be playing against the two of them."